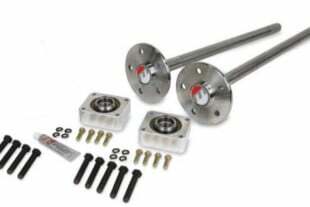 Performance programmers like those offered by SCT Performance provide many advantages for an otherwise stock vehicle. One of the most critical roles a tuning device plays is to ensure your modified car has its marching orders from a tuning professional. Commonly referred to as a ‘flash device,’ these handheld programmers are widely known for ‘flashing’ your vehicle’s onboard computer (ECU) with a custom tune provided by a tuning professional. The custom tune allows your vehicle to run at peak performance — but how do you monitor what exactly peak performance is, and how do you refine from there? Back in the late ’80s to early ’90s, these devices were nothing more than a custom-tuned chip that had to be inserted into the car’s ECU to see any real performance gain — no monitoring to be had. Nowadays, performance programmers can apply custom tunes and much more. Some devices can offer partial- and full-data logging capabilities to monitor everything from coolant temperature, battery voltage, spark timing and more. As technology in performance programmers advances, these devices have truly become a one-stop shop for all things performance-related. Here, we discuss five ways to use your SCT or Bullydog device further right now. How’s this for an “ancient relic?” No, King Tut wouldn’t have used this SCT X3 to tune his horse-driven chariot, but we did use one to apply a custom tune on our Coyote-powered Mustang project back in 2011. No. 1 — What are some hidden features of SCT’s performance programmers? Navigating through the menu system of your performance programmer doesn’t require an accreditation from a higher-education institute per se, but you may not know where to look for some of these ‘hidden features’ you hear about, and SCT is here to help. “Tuners can give enthusiast many ways to customize their driving experience,” said Jill Hepp, marketing manager for SCT Performance. Jill said that some calibrations are even designed to save fuel as well, and that the user can change their tune at any time with an easy-to-use interface. Performance programmers aren’t just for going fast. These smart devices can be used for monitoring everything from fuel economy to intake-air-temperature on boosted applications. No. 2 — Data logging 101: How does a performance programmer data log? Not all performance programmers datalog the same way. Some devices only relay what the ECU is sharing with it, while others do not feature the capability of storing any data captured during the log. SCT clears up the common misconceptions for us here. “Datalogging is a great tool to keep an eye on the vitals of the vehicle,” Jill explained. She affirmed that professional calibrators prefer to data log in pass-through mode. This means the tuner bypasses the device’s on-board monitoring in favor of a direct supply to their laptop and into SCT’s free datalogging software, Livelink Gen 2. “This allows greater flexibility and a richer tool-set for the professional tuner. Livelink Gen 2 is a free software, so anyone with a tuner and laptop can use it if they would like,” Jill relayed. As the aftermarket expands, the demand for more car manufacturers grows, and SCT offers a performance programmer for virtually every application. No 3. — How can you keep your device running in tip-top shape? 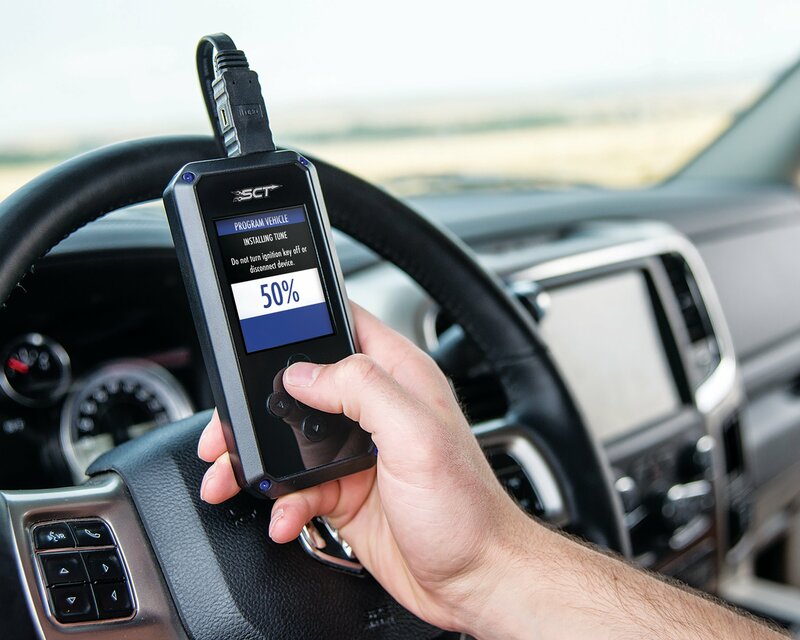 Just a few years ago, companies like SCT and Bullydog began introducing what’s often referred to as “The Cloud.” This allows professional tuners and enthusiasts alike to upload a custom calibration via Wi-Fi — truly an advancement in aftermarket technology. Jill recommends every SCT user sign up for its newsletter to stay on-top of the latest updates and firmware from the company, as well as new vehicle applications which are released frequently. Look familiar? We used a custom tune from famed Mustang-tuner Brenspeed using our Livewire TS+ device. No 4. — What are some other ways of monitoring your vehicle? In the video-game industry, hidden actions or features sometimes referred to as ‘Easter Eggs’. We asked Jill if SCT’s devices feature any of these hidden gems. “These devices feature a robust tool-set that can perform many tasks, and even replace other expensive equipment some user may have,” Jill told us. Jill reaffirmed that on-device datalogging is also another huge benefit. This is because enthusiasts can see data from critical parameters that a vehicle generally will not show you on the dashboard. “Users can monitor temperatures from various sensors, pressures, fueling, spark, knock, boost and many more. The system is flexible so that you can customize your experience to get the most out of it,” she shared with us. No. 5 — How versatile are tuning devices from application to application? It’s obvious that an SCT/BDX device is a great choice to easily add more “smiles per mile” to your ride as Jill put it, but what are the most important attributes for selecting a performance programmer? “Whether you want more power, better fuel economy or to have the freedom to customize certain parameters, a performance programmer fits many applications that can enhance your ride,” Jill responded. Jill rejoined that aftermarket parts such as cold-air intakes, superchargers, upgraded turbo systems and other modifications will require a custom tune to optimize the ECU and take advantage of these types of parts. “Custom tunes make it easy to ensure your vehicle is running at peak performance, and selecting a performance programmer with the most versatility will save you time and money in the long run,” Jill concluded. For more information on SCT and Bullydog’s performance programmers available, visit its website here.